Depsicable Me is clearly product made by craftsmen rather than artists, but for what it is, it’s surprisingly enjoyable. Gru (Steve Carrel) is a super villain feared by the general populace and respected by his evil peers. He’s committed numerous high profile crimes in the past, and he’s working on securing financing for his coup de grace, a heist of the moon. But there’s a flashy young villain named Vector (Jason Segal) trying to steal Gru’s thunder, not to mention his plan. 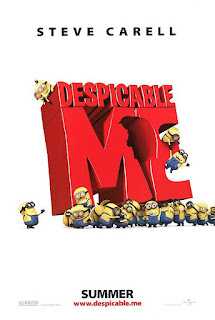 Further complicating Gru’s schemes are three little orphan girls (Miranda Cosgrove, Dana Gaier and Elsie Fisher) who just want to sell cookies to the two villains. This is a film that manages to work for both kids and adults without pandering to either. The insipid pop culture references and lame double entendres some kid vids use to appeal to adults are thankfully kept to a minimum. At the same time, the film is anything but saccharine sweet. The humor is dark, at times even acidic, with the opening scene in particular reminding one of Roald Dahl’s views on spoiled children and their even worse parents. Even the obligatory message at the end doesn’t feel shoved down the audience’s throat. Gru may learn a lesson or two, but he does so without completely losing his dark side. 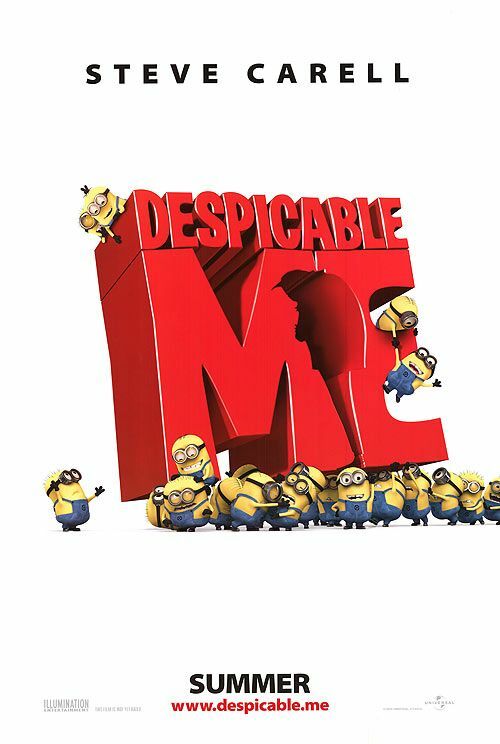 Despicable Me isn’t quite on the level of the best Pixar films like The Incredibles or Wall-E, but it’s certainly better than most of the 3D animated toy commercials that pass for kids’ movies these days. 3 out of 4 stars. Given the glut of mediocre animated and 3D movies recently, I already dismissed this one. Guess I'll give it a chance. That it retains its evil heart gives me hope. I'm pumped to see this one. I thought it looked pretty solid.